I've been a fan of buffalo wings since I had a taste of Chopstop's own version of it. 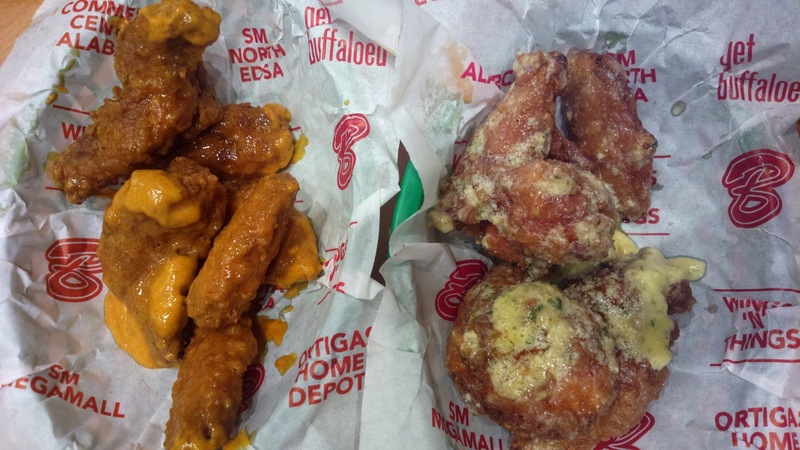 So when I saw Buffalo Wings N' Things along the long lines of restaurants near SM by the Bay at the Mall of Asia, I immediately wanted to give it a try. Inside, you'll find a youthful vibe although it's not too spacious. There were also only a few staff around. We ordered nachos (another one of our favorites), fries (for my fries loving daughter), and of course buffalo wings. I asked for the best seller and the friendly waitress suggested New York's Finest. With the one pound order, one can ask for 2 flavors so I also ordered Garlic Parmesan in addition to the other flavor. The chili beef was served separately from the cheese nachos so my daughter can also have a bite. The chili beef's spiciness is tolerable. The fries were served hot and a bit crispy. Problem came with the chicken wings. Half way through the first served nachos and fries, the buffalo wings are still not served. But patiently, I just made a follow up and waited. It was understandable because there were only a few staff (like only 4 if my counting is right) yet almost all tables were occupied with customers. I do hope they hire more people though especially during busy hours. 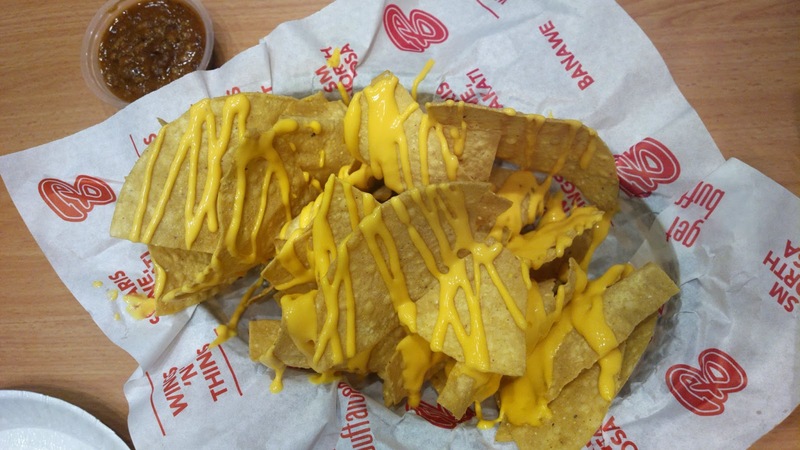 As for the nachos, they were definitely delicious. 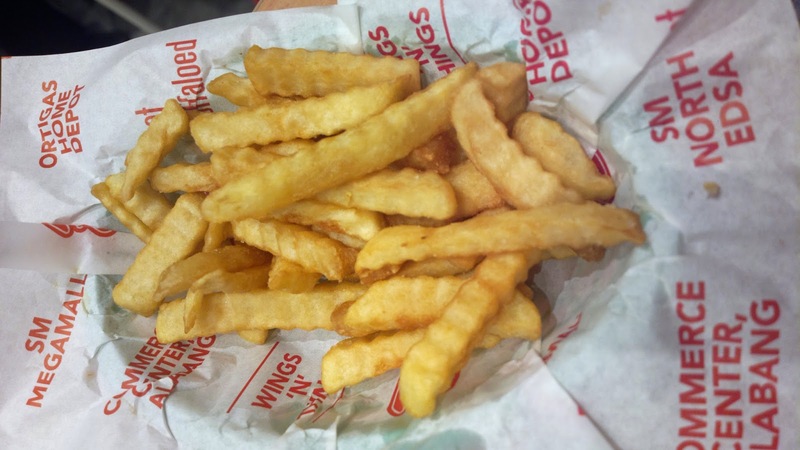 The spiciness of the New York's Finest is perfect with the buttery flavor of the Garlic Parmesan variety. For more of Buffalo Wings N' Things, find them on Facebook at www.facebook.com/get.buffaloed. Just walking distance from the office (one ecom bldg). Will try that. I also love buffalo wings. Yum yum! Oh, so mouthwatering. Yum! Will definitely visit the next time I'm in MOA.